In 1994 President Bill Clinton signed into law the resolution unanimously adopted by the U. S. Congress establishing the fourth Sunday of every July as Parents’ Day. The bill was introduced by Mississippi Senator Trent Lott. Lott, University of Mississippi alum, served as a senator for the State of Mississippi from January 3, 1989 to December 18, 2007. According to the National Parents’ Day Coalition, the establishment of Parents’ Day was the result of a bipartisan, multiracial and interfaith coalition of religious, civic and elected leaders who recognized the need to promote responsible parenting in our society and to uplift ideal parental role models, especially for our nation’s children. Since the creation of this annual day of commemoration, local faith communities, elected officials and activists throughout the nation have creatively launched many activities around the theme of Parents’ Day designed to celebrate and strengthen the traditional, two-parent family. I am so thankful for my two-parent home, growing up and so grateful that I still have both of my parents. They are such a large part of who I am and who I have become. 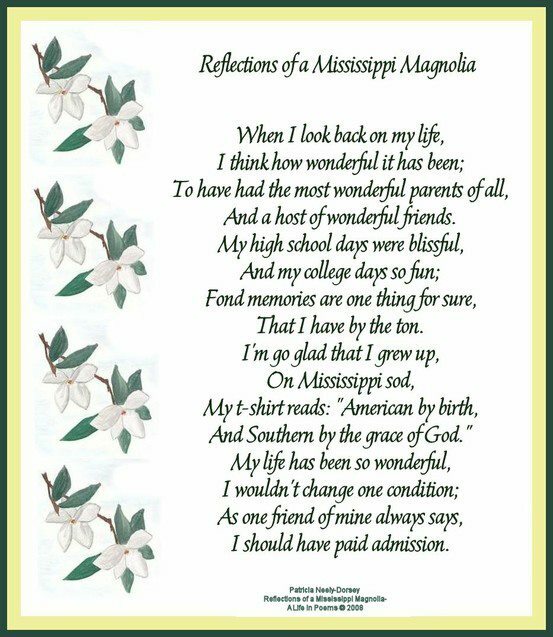 I dedicated my first book, Reflections of a Mississippi Magnolia-A Life In Poems to my parents. So many of the poems in Reflections are directly related to or about my parents and the many lessons learned from them. I cannot imagine a more wonderful upbringing than the one I experienced. 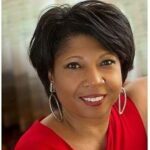 Patricia Neely-Dorsey is the author of two books of poetry, Reflections of a Mississippi Magnolia-A Life In Poems and My Magnolia Memories and Musings-In Poems. Through her poems, the author hopes to protect, preserve and promote the rich cultural history and heritage of her state and region along with providing more positive images than all of the negative images usually portrayed. Patricia lives in Tupelo with her husband James, son Henry and Miniature Schnauzer, Happy. 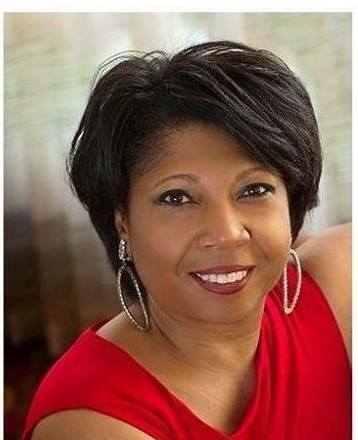 The author has been named a Goodwill Ambassador for the state by Governor Phil Bryant. Her slogan is “Always, Always Celebrating the South and Promoting a Positive Mississippi ” Her website is www.patricianeelydorsey.com and her email is magnoliagirl21@yahoo.com.